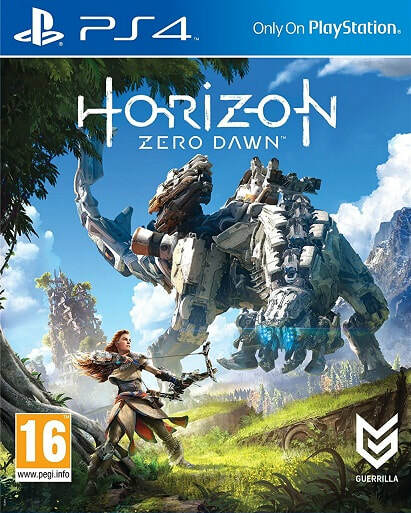 You can just imagine the pressure Dutch developer Guerilla Games was facing when making Horizon Zero Dawn, their first new I.P. since Killzone in 2004. It is also their first open-world game, developed with an upgraded Decima engine under the hood. An action RPG in which a desolate world is populated by mechanical wildlife, it attempts to explore a myriad of genres, story arcs and concepts with ambitious intent. And though you can see some of the influences from other games, Horizon marks one of the strongest debuts for a new I.P. on a Sony system, and it’s simply a must-play. Post-apocalyptic stories certainly aren’t new to gaming, but Horizon takes a different tact. The world mixes futuristic technology - including mechanical beasts which roam the land - with a more tribal lifestyle. 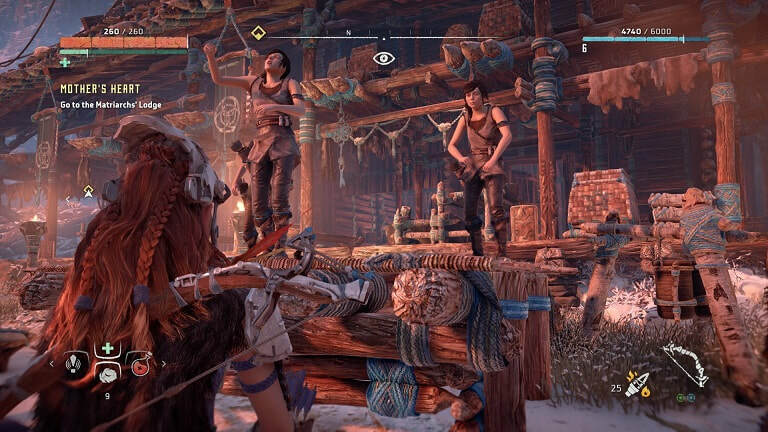 You take the role of Aloy, an outcast who is raised by father-figure Rost. She aims to discover her origins, and pledges to win a competition to become part of the Nora tribe. But things take a turn for the worse, and she ends up discovering more than she could ever imagined as she travels the land, hoping to discover why this apocalyptic event has happened. It can be a slow burn, but Horizon builds into some amazing twists and some thoughtful messages on technology and the boons and troubles it can bring. The tribal motif towards the beginning – including outcasting and savages – isn’t quite as fulfilling, but the game builds brilliantly. 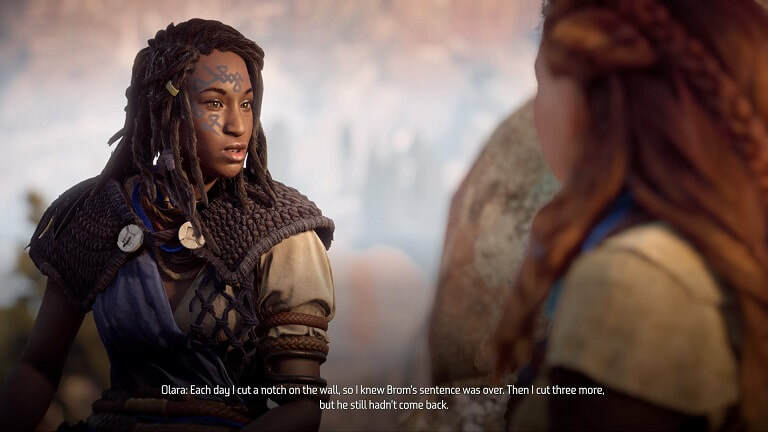 Aloy is also endearing, thanks to a great performance from Ashly Burch. It must be stated how impressive Guerrilla’s world is. Powered by an updated Decima engine – the same that brought us Killzone Shadow Fall – it’s a jaw-dropping mix of different biomes. While undoubtedly apocalyptic, featuring many ruined buildings and facilities, it's also awash with lush trees, beautiful mountains and intricate tribal camps. The map is huge, yet never feels tedious to travel around, as the scope of the map adjusts to the breadth of Aloy’s abilities. The map is a joy to explore, with hidden settlements providing fruitful side quests that offer an insight into the different cultures and attitudes of all the regions of the map. These aren’t just different locales, they’re almost like different worlds. The opening Nora area is very traditionalist Matriarchal tribe, while the Banuk (which is entirely missable), is isolated and deemed savages. So this is not another sandbox of tick-list activities. The main story, which takes you to all corners of the map, is a sprawling epic. The side missions, as mentioned, present an in-depth view into the world and they don’t boil down to tedious fetch quests. There’s also a host of one-time missions throughout the world. Bandit Camps task you with eliminating enemies from a base, using either a stealthy or direct approach. Corruption zones contain tougher variations of robotic prey to hunt. And Tallnecks, the most impressive looking monsters, are like mobile towers which reveal part of the map. It’s all awesome. Perhaps the best part of Horizon is its mix of stealth and combat. If you can avoid enemies, you can take advantage of stealth. 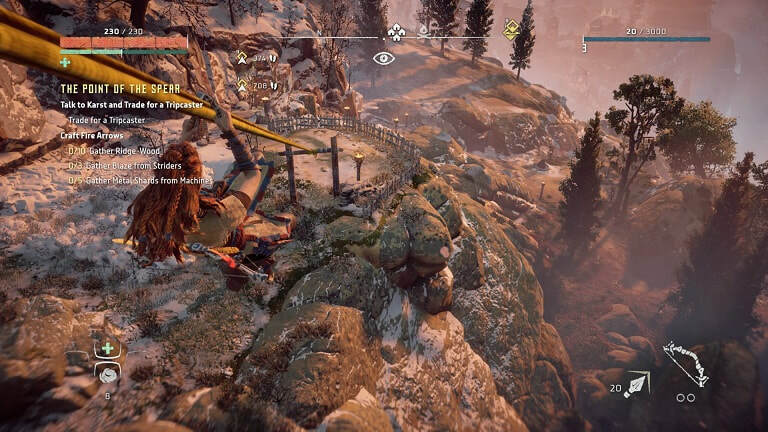 You can perform stealth attacks from behind, and as you level Aloy up you can eventually perform attacks from above, and perform stealth moves on bigger foes. 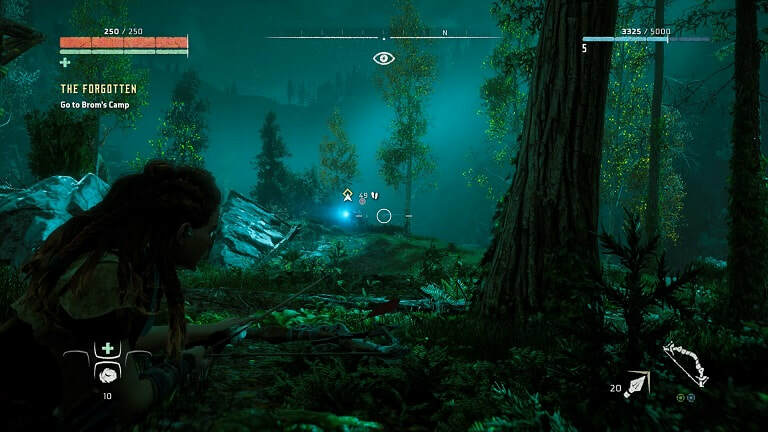 If it comes to it, Aloy can take advantage of a mix of weapons which range from tribal to technological. You can buy and equip slings to throw bombs, arrows and a shotgun-style weapon which removes parts using concussive force. Weapons can be upgraded with mods, which improve stats, Aloy can be upgraded with XP and you can also utilise crafting to create ammo, build more carrying capacity and create potions to buff Aloy. In other words, there’s a ton of ways to approach Horizon. The myriad of elements that come with each weapon offer multiple approaches, but the machine designs really spice up the combat. Coming in all shapes and sizes, each has distinct weak points, specific element ailments and strengths and can be analysed to figure out how to win. You may struggle tirelessly with one type, but once it clicks, it can be incredibly satisfying. You fight smaller, almost cattle-like machines that can be overridden to ride around the map. Then there are larger foes, such as one shaped as a crocodile, require guile and tact to take down, flying foes will test your accuracy while giant machines, such as the impressive Thunderjaws, feel like gauntlets which test you in all areas. It’s brilliant stuff, making every encounter different. Horizon pushes the PS4 to the limit, and it makes for perhaps the best-looking game on the system. The characters are incredibly well-animated, the environments are sprawling and filled with detail, a dynamic weather system leads to some jaw-dropping moments, such as a beautiful red-filled sky, and the combat is intense, with robot pieces flying all over the place and animations which bring every motion to life. The only oddity is in the facial animations during in-engine dialogue, which can look stiff and awkward. But that doesn't spoil the game. The sound fares just as well, with epic music that sways between beautiful calm and intense battles. Effects are great, especially the robots, which will send a shiver down your spine, and the voice acting is excellent, with carefully written dialogue that brings the world to life. So in the end, Horizon Zero Dawn is a must-play. Sandbox games with RPG elements are certainly not uncommon at the moment, but it avoids the tropes found in games by creating a gorgeous, involved and excellently written world. The activities may feel similar to other titles, but when scaling the giant tallnecks as opposed to static towers, these concerns dissolve away. With a great story that harbours some shocking twists, fantastic combat that keeps you constantly on your toes and a level of presentation that may only have been topped by Uncharted 4, Guerrilla have outdone themselves. In essence, PS4 owners should not be without this excellent game.